Sometimes it is exhausting trying to defend America against disparaging words easily tossed about, with no relation to fact. Of late, the term “hypocrisy” has been occupying the disparagement limelight. I’d like to discuss that word and arrive at an understanding of when the U.S. is hypocritical, and when she is not. I’ll also use some examples in the Philippines to bring the lesson closer to the hearts and minds, or the personal framing, of our readers. First of all, it is important to understand three concepts that define the character of our observations, the first two of which are brought out intelligently in an article supplied by Victor Barreijo, Jr., our herein designated Society secret agent working inside at Rappler. The article is entitled “Journalism has become unstuck in time“, and is by C.W. Anderson. The subject of that article is how space and time bends our awareness of things. We can apply such analytical tools to how we understand the acts of government as well. Space. Events happen. Some we know about, some we don’t. But we make decisions as if we had all the information needed. Time. We may come into the debate early or late and circumstances change on us in the meantime. Personal framing. We like blue and Christians and freedom and the Philippines, and anyone coming at cross purposes to what we like is in for criticism. Someone aligned with our preferences is in for praise. The problem is, others like red and Muslims and oligarchy and Taiwan. Second of all, it is important to distinguish between democratic governments, with decisions made or influenced by a group of people, and dictatorships, where government acts are substantially the work of one person. One of the flaws of democracy is that it is inconsistent, with actions varying depending on who is President for this term, and what ideology dominates the legislative bodies. The flaw of a dictatorship is, of course, consistency if that dictator is ruthless and more interested in ruling the people than seeing to their well-being. hy·poc·ri·sy [hi-pok-ruh-see] noun, plural hy·poc·ri·sies. A pretense of having a virtuous character, moral or religious beliefs or principles, etc. that one does not really possess. That’s pretty clear. When one says one thing righteously then knowingly does another, that is hypocrisy. The quality of “pretense” means that it is an intentional act to deceive. Indeed, a verb-form synonym is “deceive”. Here is a little 10-point quiz. Listed are some examples. Are they hypocrisy? Why or why not? The U.S. may strike Syria because Syria uses banned chemical weapons, but the U.S. used Agent Orange, a carcinogenic chemical, and napalm, in Viet Nam. The U.S. condemns the killing of innocents by terrorists but kills innocents in drone attacks. Democrats who objected to the Iraq war are for a strike on Syria. Republicans who backed President G.W. Bush on Iraq are criticizing President Obama for wanting to strike Syria. America objects to China hacking American newspapers and industrial sites to get information, but America is sticking its vast technological nose everywhere around the globe to get information. China says it wants constructive bilateral dialogue but objects when the Philippines seeks to conduct that dialogue formally in the UN arbitration forum. President Aquino says he is against corruption but gives Jenny Napoles favored treatment in jail. 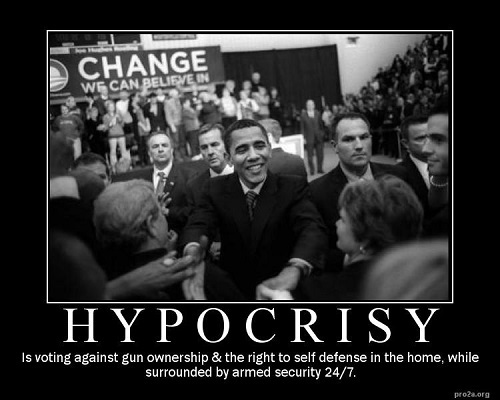 President Obama, as a senator, votes against gun ownership and the right to self defense, while surrounded by armed security 24/7. 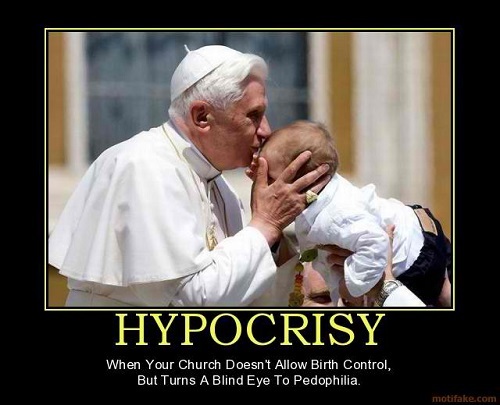 The Church doesn’t allow birth control, but turns a blind eye to pedophilia. JoeAm pounds the table for transparency in government, but operates behind an alias. I was going to write the answers here, but what kind of fun would that be? It will be much more interesting to see what reader’s think. So I’ll let the Society parse this first. Any elaboration you provide that explains WHY you decided as you did gets you bonus points. Well, 99% of the Phl Congress deserves this Cetificate of Hypocrisy. 1. No, not hypocrisy. Not banned during Vietnamn war. 2. No, not hypocrisy. Terrorist intentionally kills innocent civilians. 3. No, not hypocrisy. Its politics. 4. No, not hypocrisy. That is why we call them politicians. 5. No, not hypocrisy. China’s act is espionage while American’s is national security. 6. No, not hypocrisy. China thinks they can bully Philippines, but not with International referee. 7. No, not hypocrisy. It is a common practice in the Philippines. 8. No, not hypocrisy. It is called Persidential tight security. 9. No, not hypocrisy. The Church is irrelevant. 10. No, not hypocrisy. JoeAm is a cool hypocrite. My answers are short and concise and I dont own any NGO. I dont like hypocrites, but I am surprised of my answers. Hmm how interesting which means I agree with the article. ps, Number 9 cracked me up. Here’s another one for number 9. 1. No, not hypocrisy. It was supposed to “kill vegetation” not people. 2. No, not hypocrisy. Civilians should not live next to terrorists. 3. No, not hypocrisy. Saddam was a CIA installed puppet who disobeyed his CIA handlers. 4. No, not hypocrisy. George W Bush got congressional approval, Obama can’t get it. 5. No, not hypocrisy. America invented and owns the internet. China is just a “guest” user. 6. No, not hypocrisy. China cannot trust the UN because they have been accused of “human rights violations” for doing things for national security. If the USA can drone and launch missiles in the interest of national security, China should be able to arrest and execute people in the interest of national security. 7. No, not hypocrisy. Its all part of Noynoy’s genius to lull her into a false sense of security. 8. No, not hypocrisy. It is in the interest of National Security so all bets are off (including the Constitution of the United States). What part of National Security do you not understand? 9. No, not hypocrisy. The Pope has a special hotline to God and so he is infallible. 10. No, not hypocrisy. JoeAm does not want to put his life in danger. He is, after all, living in the country which has the highest murder rate for journalists. My earlier reply disappeared evidently. I’ve been having tech problems with internet connection all day. Your number 6 twisted my brain inside out. I’ve got to ponder that one some more, the implications. Number 7 is greatly amusing. As are many of the others. I’m glad you see the rationale on number 10, a slight aversion to beheading and paying ransom. The latter actually more than the former. Fatally fanatically religious roman catholic Filipinos should be given outstanding perpetual awardee for hypocrisy. Filipinos blame for what they are because of colonial mentality. I know it. They know it. Everybody know it. But cannot rid of themselves one of the blatant vestiges of colonial mentality: RELIGION. RELIGION is product of colonialism. If Filipinos rid themselves of RELIGION they effectively rid themselves of colonial mentality. Tomorrows blog deals with religion. The word to describe America’s international behavior is not “hypocrisy”. The more accurate term is “American exceptionalism”. There is no morality other than the quest for power when speak in the context of the game of nations. Hypocrisy is a term one would use where there is a common agreement over what is right or wrong, acceptable and non-acceptable behavior. But in the game of nations, there is no universal morality, there are only norms determined by the most powerful players. They make the rules, they draw the lines. They decide what is right and wrong, what are just wars/interventions or unjust wars/interventions. That is the area where the concept of exceptionalism enters the picture. Exceptionalism is the prerogative of the powerful. It will explain how a powerful state can reason and act in one way on one occasion and reason and act in the opposite way on another occasion without getting off its high horse. Excellent distinction. Thanks. It seems to me it does not apply only to powerful states, but to powerful institutions or people. Exceptionalism is what led to pork until the information age gave people enough “knowledge is power” to offset the prerogative of the legislators who used it for self enhancement. No, exceptionalism is not at work in corruption and criminality. Exceptionalism means taking yourself out of the equation. It is different from working the system which is what the pork scam was all about. The pork scam and for that matter all forms of corruption and criminality finds a healthy environment in a corrupt judicial system. Corruption and criminality abound when one is fairly certain of getting a favorable decision at one level or another of the justice system from the prosecutor or the presiding judge or in the appeals levels. Make conviction a near certainty and you go a long way towards doing away with the climate of impunity made possible by the corrupt judiciary. I’m afraid I am too thick to see the distinction. C’mon Joe. The difference between impunity and exceptionalism is the latter stems from a sense of moral superiority. Impunity has no such pretensions. Hypocrisy, as the old saying goes, is the homage vice pays to virtue. Exceptionalism avoids having to pay homage. Well, sometimes I am busy peeing on my own particular fences I suppose. I was missing the notion that I finally got from David’s explanation that exceptionalism carries its own sense of being right, rather than being knowingly wrong. I take it that powerful churches are exceptionalist, too. And I agree that the descriptor is perfect for America. I agree with MB that there’s no Exceptionalism in pork barrel corruption. Using public funds for ones gain is clearly a non-acceptable behavior; it’s plunder and stealing and undermines the covenant between officials and citizens. Having a biased and corrupt judicial system in the Philippines is clearly against the universally accepted notion of fairness, impartiality and integrity of the justice system. Kinda echoes Hobbesian NATURAL law. Even responsibility to protect, intervention and human rights (example of norms of MB) in an international context, the aforementioned are “Western” concepts. Western powers pushed for it because they had the capabilities and leverage to do so. Thanks for making the definition of exceptionalism clear to me. China has an N/A. you can’t have a concept of hypocrisy when a country doesn’t have a concept of morality and virtuosity in the first place. Only President Noy is not hypocritical; he doesn’t have that word in his dictionary. — coming from a guy who watches American movies and sports; buys products wholly or partly manufactured in China; is a non-practicing Catholic; voted for Gibo in 2010; and comments here regularly. So you watch American movies and sports , that good huh? Well, I dont watch Filipino movies because it is a stinking garbage, but I live in the Philippines. I am a classical hypocrite. Hmmm If America doesnt have a concept of morality what does that make the Philippines? I was referring to China’s lack of concept of morality in the first place based on no.6 of Joe’s entry (read it again carefully). Where did I EXPLICITLY say that America has no sense of morality? the flow of my logic is simple: based on definition above you need a pretense of morality to be a hypocrite. when you don’t even have a pretense of morality in the first place, how can you become a hypocrite– look what china is doing in scarborough? do they try to pretend moral in the first place? China is worse than a hypocrite. ANYWAY, I’m hoping that you don’t take my comment seriously because it was obviously supposed to be a SILLY, borderline-troll one. It even had a self-deprecating tone in the end– that the commenter is a hypocrite himself. BTW, not all Filipino movies are stinking garbage, There are many American movies which have cliche plots and bad acting. Look at Lautner’s abduction, Hemsworth’s paranoia , etc. Actually, I think Filipino actors are quite good. They are dealt scripts which are formulated for a lot of emotion (rather like romance novels that sell by the bazillions in the U.S.), and perform them well. They are much like soaps in the U.S. which are very hard work for an actor. Short time to get the lines and movements down. Only one or two shots. I admire anyone who can pop tears on command like they do. Filipino singers are even better than the acting classes. EVERYONE can sing . . . except my neighbor with the loud karaoke machine . . . he stinks . . .
hahaha. you really need to write a blog on FIlipino mainstream film-making, music and other “arts”. I agree on your assessment of Filipino actors, but they need to work on facial nuances like good Western thespians (Al Pacino, Jennifer Lawrence, Helen Mirren and Daniel Craig). Singers, specifically belters, are a dime a dozen, but I’m biased towards Filipino actors coz I can’t sing hehehe and don’t like the belting trend in the Philippines. Opsie and Sorry, I must have misread you about America. Peace and be a friend. @David, ahahahaha, you are a sterling hypocrite! Join the rest of us. When I find myself colliding with my prior opinions, I merely cite that, in the time since, I have changed my mind. Change is not hypocrisy. Of course, I might change back the next time I open my mouth. 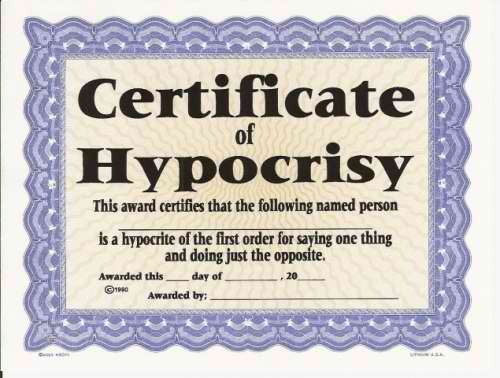 Seriously, the hypocrisy card should not and could not be played in international relations and foreign policy. It’s almost universally accepted by mainstream international relations scholars (neo-realism and neo-institutionalism) that nations act on self-interest; there are no permanent allies and rhetoric, only permanent interests. Yes, important point. And those interests may change with the changing of the world, or the changing of political parties or leaders. And the Philippine Left ought to reflect on that, and recognize Philippine interests may change, too, when China is sitting on Philippine rocks. This is not 1990 or 1946 or 1898. Let me clear this: When I said permanent interests, i was referring to the broad aspects (national military power, security and economy). i think you are referring to case-specific goals which fall under the aforementioned broad aspects. For a HYPOTHETICAL example of case-specific: US “striking not invading” Syria to signal military power and political will in the Middle East to China and Russia. Those permanent interests remain constant in the foreign affairs discourse. It’s just semantics I guess. No, more than semantics, and I appreciate your clarification. I was referring to case specific goals, as you illustrate. Thanks. And the Pope is infallible. Thanks Joe, I am quite familiar with that saying but I like this one by him better. So, Misurari and Philippine Army should be aware of the above restrictions in kill numbers. This is not hypocrisy. It is universally accepted kill rate. If anything more than what is generally acceptable beware the American Police will come in droning out those that violate the standards by dropping napalm and Agent Orange. And remember folks, only the Americans are allowed to do the required minimum kill in one day. Americans kill Americans on the roads at a rate of about 40,000 per year, or 110 per day. So 208 for a foreign country falls into the category of “business as usual”. Americans in this vehicle category are killed only on roads. Guns and wives pushing husbands off cliffs and building fires or explosions are separate categories. Poison gas is not allowed there, either. And there, too, it is only Americans doing the killing. So, clearly, this is not hypocrisy. Thanks for boiling this down to hard facts and statistics. 1. No. Entirely different purposes for the chemicals. 2. No. One is offense to advance a religion, the other defense to protect a people. Drones do not intentionally target innocent civilians. 3. No. Different times, different circumstances. 4. No. Same reason as 3. 5. Yes. Both are seeking information to gain industrial or political advantage in the same time frame. The U.S. knows, when it is criticizing China, that it is doing the same thing. 6. Yes. UNCLOS arbitration is established by the UN as an accepted and therefore constructive forum for bilateral dialogue. China knows this, but denies it for self-advantage. 7. No. Granting an un-convicted criminal of some stature harsh treatment would be considered cruel and demeaning punishment. Both anti-corruption work and reasonable treatment of citizens are right and proper. They are not opposed. 8.No. President Obama is not an ordinary citizen and bears unusual risk of assassination. The issues are unrelated. 9. No The Church knows that both birth control and pedophilia are wrong by her moral codes, and condemns both. The methods of dealing with different moral lapses differ because the circumstances are very different.The Church may be fallible in how she deals with it, but she is not hypocritical. 10. No. Both JoeAm and the government are permitted to hold some information private under existing or proposed transparency and privacy laws. Information that may lead to undue harm may be withheld. The important lesson is to consider the framework in which acts occur. An act of the past may have little bearing on today. Japan was the enemy. Japan is the friend. Furthermore, it is important to grasp that democracy is rife with inconsistency and change, so matters like Syria and Iraq may have similar features (WMD and civil war), but the framework for American decisions is very different, affected by war-weariness, a different set of partisan political posturing, different political weights in congress, and a different president. Hypocrisy is actually very rare because circumstances are not often aligned to be similar, and acts miss the crucial requirement of deceit, of KNOWING the act is inconsistent with values, statements or similar acts. But going forward anyhow. History through a black and white movie without the color is passe. America for all its warts and flaws remains the exceptional safe haven politically and economically.It like the Romans before it are slowly but surely going to be less effective in the future. How long that will be depends a lot on the continued dumbing of the American populace. China still has a long way to go since the political establishment does not trust its own people… But the more people get economically empowered in China this will force the changes.. Russia with its abundance of resources and its missiles is stuck in neutral and its influence is determined and maintained by supplying arms..
Man, what a hard-hitting, precise, concise statement of the global picture and the U.S. role in it. So much there, in so few words. Thanks. I think China and the Philippines are on the same time-track as to self-awareness, but the pork scandal has pushed the Philippines forward by a decade. For the Philippines, nobody trusts anybody, and it will take hearings like today to carve away the mistrust.